The name of this club shall be IRON MOUNTAIN YACHT CLUB, hereinafter referred to as the Club. The objectives of this Club shall be to promote the sport of sailing, including friendship and camaraderie among yachtsmen, pleasure sailing, competitive sailing, and water safety. 1. Whenever possible, the Commodore shall preside at all Board and membership meetings and enforce the rules and regulations of the Club. 2. The Commodore shall appoint the members and duties of all committees considered necessary for the proper management of the Club. 3. The Commodore or the Secretary/Treasurer shall sign all checks or other obligations of the Club. 1. The Vice Commodore shall be the Commodore-elect. 2. The Vice Commodore shall assume the duties of the Commodore in the Commodore's absence. 3. The Vice Commodore shall assist the Commodore in the performance of his duties, and shall help formulate plans that will not come into being until the Vice Commodore's term as Commodore. 1. The Secretary/Treasurer shall keep a true record of the proceedings of all general meetings and Board meetings and a correct roll of the members of the Club and shall send a corrected roll to the officers and members of the Club as updates are necessary. 2. The Secretary/Treasurer shall notify the membership of all such meetings. 3. The Secretary/Treasurer shall be the Agent for Service. 4. The Secretary/Treasurer shall receive all monies collected for the Club and pay all debts approved by the Commodore or by the Board, keeping a true and correct account of the same. 5. The Secretary/Treasurer shall make a complete and comprehensive report to the Officers and membership annually and shall make other reports, as requested. 6. The Secretary/Treasurer shall deposit the Club funds in a bank insured by the FDIC to the credit and in the name of the Club. All bills of the Club will be paid by check and receipts kept by the Secretary/Treasurer. 1. A Communications Officer may be appointed by the Commodore and, if appointed, shall attend all meetings of the membership and Board and shall make information available to the membership as provided by the officers of the Club and/or by other members providing current information. 2. Such information shall be made available through website announcements and/or email to the membership sent not less frequently than quarterly and more frequently as needed if current events dictate. 1. 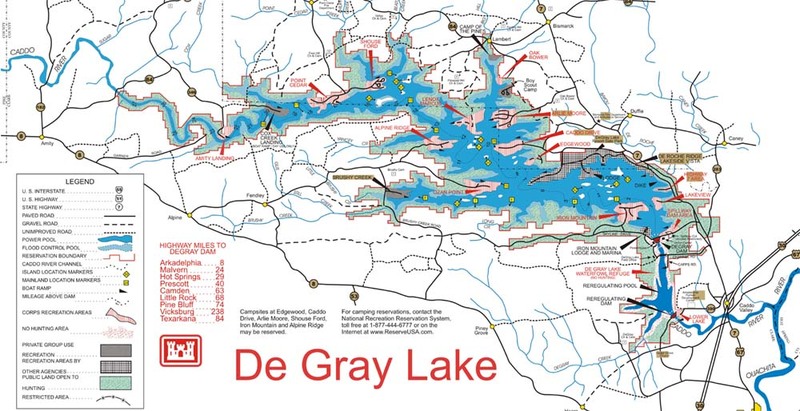 The officers of the Club, at the time of their nomination, shall be the owners in whole or in part of a sailboat kept or used at Lake DeGray. 2. All officers shall be elected by the general membership via an election to be held in the month of January and shall serve one two-year term. At least two weeks notice of the annual election shall be given to the membership. Officers may serve longer if unopposed and the membership requests the continuance. 3. The Commodore shall appoint a Nominating Committee of not less than three members, one of whom must be the Vice Commodore, who shall nominate at least one person for each office and shall report to the general membership at least two weeks prior to the annual election. Other nominations may be accepted from the members at the annual meeting. 4. The Commodore shall appoint a Race Committee Chairman to be responsible for the racing program for the year. A. The affairs of the Club shall be conducted by a Board of Directors, hereinafter referred to as the Board, consisting of the following persons. B. A quorum shall be over one-half of the Board Membership. C. Any expenditure by the Board which would necessitate the borrowing of any sum or otherwise expend funds not held by the Club, must be approved by two thirds vote of the general membership. 1. Each prospective member must be interested in or involved in the sport of sailing. 2. Each prospective member shall complete, sign, and submit a written application provided for by the Board. An initial fee, the amount to be determined by the Board, shall be assessed. 3. The Board shall have the power to approve or disapprove an application, and may call for a special meeting or election if necessary. 4. A member is an individual, and/or dependents of that individual's family less than 21 years of age and unmarried, for whom the membership has been paid and who has been approved by the Board. 5. Membership fees are due by February 15th for the current year. Members not having paid dues by February 15th will be considered delinquent and delinquent members will be notified. A $10 late fee will then be assessed and must be paid before membership status is re-established. 6. New members who join the Club after the July 4th Club event, having paid the current year’s dues and initiation fee, will have those dues also be considered paid for the next calendar year. 7. Members may raise issues to the Board via a written request. The Board, at its discretion, and where appropriate, will attempt to resolve the issue and may call for a special vote of the members, if necessary. A. All matters that shall come up for consideration of the membership at any time except as specifically provided for herein, shall be determined by a majority of the membership. 1. Members may vote in person, or by proxy or by email vote. An email vote shall include the option to vote for the motion, vote against the motion or vote that the motion should be brought before the membership at a general meeting. The majority vote in an email vote shall determine the outcome of that vote. 2. A quorum of the membership shall be over one half of the membership at that time. 3. A proxy must be signed and in writing to be valid and is void if the signing member is present. 4. One vote per membership is allowed. 1. A proposed amendment may be brought to the general membership for vote in any of the following ways: a. By the presentation to the Commodore of a petition proposing an amendment which is signed by one-third of the membership or, b. By recommendation at a membership meeting with clear membership support or, c. By approval of a proposed amendment by a majority of a quorum of the Board. 2. If an amendment is proposed by any method above, the Secretary shall communicate by written notice or e-mail to all members announcing the proposed amendment and the time and method said amendment will be considered by the general membership. Such notice must be given at least two weeks prior to voting. 3. Approval of any amendment shall require for passage the affirmative vote of two-thirds of the membership using the announced method of voting. The Commodore shall vote only in the case of a tie vote. 1. Regular Meetings. There shall be one regular meeting of the general membership each year. The date of this meeting will be made known to the membership by website announcement or e-mail at least two weeks prior to the meeting. 2. Special Meetings. These meetings may be called at anytime by the Commodore when, in whose judgment, such meetings shall be in the best interest of the Club. Likewise, these meetings may be called upon the petition of not less than 20% of the membership in good standing. Such petition should state the purpose of the special meeting and should include the signature of those desiring such a meeting. Such petition should be filed with the Secretary who shall forward a copy to the Commodore. The Commodore and Secretary/Treasurer shall then provide for such meeting and notify all Club members giving at least two weeks’ notice. The objectives of this Club shall be to promote competitive sailing, pleasure sailing, friendship among yachtsmen, and water safety. Competitive sailing will be promoted by a coordinated club racing schedule each year. 1. Whenever possible, the Commodore shall preside at all Board and membership meetings and enforce all by-laws, rules and regulations of the Club. 2. The Commodore shall appoint the members and duties of all committees, which shall be considered necessary for the proper management of the Club. 3. The Commodore or the Treasurer shall sign all checks or other obligations of the Club. 3. The Vice Commodore shall assist the Commodore in the performance of his duties and shall help formulate plans that will not come into being until the Vice Commodore's term as Commodore. 1. The Secretary/Treasurer shall keep a true record of the proceedings of all general meetings and Board meetings and a correct roll of the members of the Club and shall send a corrected roll to the officers of the Club as updates are necessary. 4. The Secretary/Treasurer shall receive all monies collected for the Club and pay all debts approved by the Commodore, or by the Board, keeping a true and correct account of the same. 5. The Secretary/Treasurer shall make a complete and comprehensive report annually and shall make quarterly reports to the Board, and shall make other reports from time to time as required by the Commodore. 2. Such information shall be made available through newsletters, website announcements and/or email to the membership sent not less frequently than quarterly and more frequently as needed if current events dictate. 2. The offices of Secretary and Treasurer may be combined with the approval of the Club's voting membership present at the time of their election of officers. 3. All officers shall be elected by the general membership via an election to be held in the month of December and shall serve until December 31of the following year or until the election of new officers if earlier. At least two weeks notice of the election shall be given to the membership. 4. The Commodore shall appoint a Nominating Committee of not less than three members, one of whom must be the Vice Commodore, who shall nominate at least one person for each office and shall report to the general membership at least two weeks prior to the annual election. C. Any expenditure by the Board which would necessitate the borrowing of any sum of otherwise expend funds not held by the Club, must be approved by two thirds vote of the general membership. 1. Each prospective member should be interested in or involved in the sport of sailing. 3. Two active members shall endorse the application. 4. The Board shall have the power to approve or disapprove an application, and may call for a special meeting or election if necessary. 5. A member is an individual, and/or dependents of that individual's family less than 21 years of age and unmarried, for whom the membership has been paid and who has been approved by the Board. 6. Membership fees are due by January 31st for the current year. Members not having paid dues by February 15th will be considered delinquent and delinquent members will be notified. A $10 late fee will then be assessed and must be paid before membership status is re-established. 7. New members will be assessed prorated fees for their initial year of membership based on the number of months remaining in the calendar year. 8. Members may raise issues to the Board via a written request. The Board, at its discretion, and where appropriate, will attempt to resolve the issue and may call for a special vote of the members, if necessary. 2. A quorum of the membership shall be over one half of the membership. ii. By approval of a proposed amendment by a majority of a quorum of the Board. 2. If an amendment is proposed by either method above, the Secretary shall publish in the next issue of the Club newsletter (or any mail or email) written notice to all members announcing the proposed amendment and the time and place when said amendment will be considered by the general membership. At least two weeks notice must be given to the general membership of the Club. 3. Approval of any amendment shall require for passage the affirmative vote of two-thirds of the membership present in person or by proxy or by email at the announced meeting. The Commodore shall vote only in the case of a tie vote. 1. Regular Meetings. There shall be one regular meeting of the general membership each year. The date of this meeting will be made known to the membership by newsletter, website announcement or e-mail at least two weeks prior to the meeting. 2. Special Meetings. These meetings may be called at anytime by the Commodore when, in their judgment, such meetings shall be in the best interest of the Club. Likewise, these meetings may be called upon the petition of not less than 20 % of the membership in good standing. Such petition should state the purpose of the special meeting and should include the signature of those desiring such a meeting. Such petition should be filed with the Secretary who shall forward a copy to the Commodore. The Commodore and Secretary/Treasurer shall then provide for such meeting and notify all Club members giving at least two weeks’ notice.